During a visit to Brooks in January 1998, I met a man from North Sydney, Nova Scotia—North Sydney claiming, at that time, one of the highest unemployment rates in Canada. Of 15 male recruits who had come to Brooks four months earlier, only he remained. The others had returned home, citing poor working conditions and a lack of housing. So much for job opportunities in Alberta. This situation is emblematic of the folly of assuming that what’s good for business is necessarily good for people. Taking as their mantra, “If you build it they will come,” successive provincial governments have sought to diversify Alberta’s economy. In a push to move away from the mere export of raw materials to be processed in other provinces or foreign countries, Alberta has made a concerted effort to do more value-added processing within its own borders. The strategy consists of offering investors access to the province’s abundant natural resources and providing a low-tax, pro-business environment. For agriculture, the result has been the construction and acquisition of facilities in the province by foreign-owned agribusiness companies such as Cargill, IBP, Archer Daniels Midland and Nestlé. Beef processing has been a major recipient of such foreign investment, with the construction and expansion of large slaughter plants at High River and Brooks. These investments have created thousands of jobs and given a welcome boost to the farm economy by supplying a market for locally raised cattle. But the industry also passes on the social cost of its production to local communities in the form of increased crime, homelessness and demand for indigent care. While social need has increased, the provincial government, in pursuing its agenda of debt-reduction and a balanced budget, has systematically cut social services, leaving much of the responsibility for paying the social price of the industry’s operation to local communities and charitable organizations. Dreams of economic independence and a buoyant economy have, for those on the ground in today’s rural-based beefpacking industry, become a nightmare in which social need endlessly consumes the charity and goodwill of local citizens. Since the first European settlers came to the prairies, cattle have been raised on the excellent grasslands. With the arrival of the railway in the late 1880s, live cattle began to be shipped east and west from Calgary to be slaughtered close to major population centres. Beefpacking’s market orientation remained largely unaltered until the advent of boxed beef, introduced in the late 1960s by Iowa Beef Packers (now known as IBP). Cattle carcasses were no longer shipped whole; rather, fat and bone were removed at the plant and meat cut to retail specifications before being vacuum packaged for shipment. This innovation appealed to the hospitality industry and supermarkets because it allowed them to employ fewer butchers and reduce costs. It also allowed the packers to ship more meat and keep valuable by-products for additional sales. A 1993 study estimated that the average cost of transporting fed cattle from Alberta to southwestern Ontario was $112.50 per head, while the equivalent figures for carcasses and boxed beef were $49.50 and $28.91 respectively. The development of boxed beef has thus allowed the industry to consolidate close to where the cattle are raised. In the last 15 years, the availability of fed cattle, a weakened labour movement, and government incentives have together encouraged two of the three largest U.S. beef processors, Cargill and IBP, to invest in Alberta. In 1999, the province had nearly 2.4-million cattle on feed, 1.3-million more than in 1984. Alberta has become the largest cattle feeding province in Canada. Ample supplies of barley and irrigated crops provide silage; fresh water is abundant; little precipitation makes for less mud and clean cattle; and efficient feeding conditions along with “moderate” winter temperatures allow for good feed conversion. Meanwhile, labour interests have been slowly starved. Before 1984, meatpacking wages were determined by means of an industry-wide national contract. The bargaining system that had existed since 1947 was challenged by the Calgary-based Burns meat company, which claimed that high costs had made the company unprofitable. They demanded that the union bargain on a plant-by-plant basis. The United Food & Commercial Workers union refused, and Burns charged them with bargaining in bad faith. Labour relations boards in Ontario, Alberta and Manitoba subsequently upheld the company’s position. The union called a national strike, but in its aftermath, a two-tiered wage system was established, with lower rates for new hires. At Lakeside Packers in Brooks, replacement workers were hired at three dollars per hour less than the national rate and worked throughout the strike. Meatpacking wages have yet to recover; current starting wages at Lakeside remain below 1984 levels. The beefpacking industry passes on the social cost of its production in increased crime, homelessness and demand for indigent care. Labour’s position in the province was further undermined after a bitter 1986 strike at the Gainers meatpacking plant in Edmonton. In 1988, the provincial government approved a new labour relations code that gave the cabinet the power to decertify unions that conduct illegal strikes and allowed the Labour Relations Board to limit picketing. New barriers to union certification were erected with the requirement of a vote on union acceptance even when a company’s entire workforce has signed union cards, creating the potential for intimidation or a campaign against unionization by management. In addition, the board’s right to certify a union when management has interfered with an organizing drive was removed. IBP’s 1994 takeover of Lakeside may be, in fact, partly explained by the company’s own hostility towards labour unions in the United States. Soon after the company was founded in 1960, it refused to abide by the terms of the equivalent U.S. master agreement in hiring workers at its plants and has used strikebreakers in disputes at its plant in Dakota City, Nebraska. While the cattle population exploded and labour’s prospects dwindled, the Alberta government, in the late 1980s, provided $4-million for a wastewater treatment facility to assist Cargill with the construction of its High River plant, along with grants and loans totalling $16-million to help Lakeside become “the largest slaughter and beef processing plant in Canada.” In 1994, IBP purchased Lakeside and immediately announced it would expand the plant’s slaughter capacity and add a processing side. Soon afterwards, Cargill announced a similar expansion plan for its High River facility. When Cargill’s plant opened in 1989, it had the capacity to kill 6,000 cattle per week with 410 production workers, while Canada Packers’ Winnipeg plant slaughtered just 3,000 cattle with 475 workers. The benefits of economies of scale and increased efficiency immediately put these plants at an advantage over their older counterparts. Moreover, Cargill began by employing a non-union labour force (it has subsequently been organized), whose starting wages were four dollars an hour less than those of workers at other plants in the province. Cargill’s lower costs led to closures of Canadian-owned plants in Calgary and Lethbridge and complaints that the provincial government favoured foreign investors. Beef processing employs a lot of people, approximately 2,500 at Lakeside and 2,000 at Cargill’s plant. In the United States, the industry has been associated with increases in school enrolment, demands for social services, and crime, creating a significant social penalty for rural communities there. These social changes can be attributed to the nature of the industry. Low pay, a high injury rate, stress and the physical demands of the work ensure high employee turnover—an industry average of between 6 and 8 per cent per month among line workers. This means that packers quickly exhaust locally available labour and then recruit workers from outside the local region— highly mobile young adult single males and recent immigrants. Low pay, a high injury rate, stress and the physical demands of the work ensure high employee turnover—an industry average of between 6 and 8 per cent per month among line workers. Both groups increase the demand for services, offsetting the benefits of economic development with a greater social handicap. The highest incidence of crime is among young single males between the ages of 18 and 24, a group also highly susceptible to alcohol abuse, while a ballooning school enrolment and demands for special services and health care are assured by an influx of young immigrant families. Moreover, many industry recruits and potential employees arrive penniless and need to be housed and fed before receiving their first paycheque, which boosts the obligation to provide food and shelter for indigents. Lakeside’s expansion began in December 1996. Within four months of hiring 700 mostly local workers at a weekly turnover of between 40 and 60 workers, Lakeside’s human resources manager acknowledged that the company had “pretty much exhausted the local labour supply.” As a result, the company began to recruit laid-off workers from the collapse of the cod fishery in Newfoundland and Nova Scotia as well as new immigrants to Canada. In July 1996, Cargill’s plant manager took me on a tour of the High River facility. I was informed that more than 50 languages and dialects were spoken inside the plant. To emphasize the plant’s diversity, a world map was displayed at the entrance with pins corresponding to workers’ countries of origin. Updating this map would have proven a challenge, though: at the time, about 110 workers left and were replaced each month. Most line workers are new immigrants, the largest groups being southeast Asian, Indian, Iraqi, Iranian and Latino. Lakeside’s growing number of immigrant employees led, in fact, to the establishment of an on-site immigration service for workers in the fall of 1998. Users of this service are mainly from Iraq, Cambodia, Somalia, Ethiopia, Bosnia, Pakistan, Sudan and Nigeria, most seeking advice on how to proceed with family reunification. Many immigrants learn about employment opportunities at the plants through Calgary’s Catholic Immigration Society. But a buoyant Calgary economy has meant that the agency placed no immigrants at either facility in the first eight months of 2000, which has increased pressure to recruit labour from other sources. At Lakeside, the result has been the hiring of some workers with criminal records. In mid-1997, the town of Brooks announced a zero- vacancy rate for rental accommodations. A 1995 consultant’s report advocated that the town should promote the construction of new single family homes in hopes that this would create a vacancy chain, with local people “moving up” to newer homes and leaving cheaper properties vacant for newcomers. The report proposed the construction of between 900 and 1,400 units over two years, but only 284 were constructed. Moreover, when Lakeside doubled its production workforce in 1998 with the addition of a second shift, just 78 units were added to the housing stock— and 48 the following year. The housing shortage means that have the options of living in the surrounding rural area or Medicine Hat or doubling or tripling up in town units that should accommodate just one household. The provision of 168 dormitory style units for single employees at the Lakeside plant in fall 1997 has not led to a much happier result. Designed as transitional housing, its rental rate increases the longer a person stays, while Lakeside deducts rent and other costs workers incur, such as the purchase of optional equipment and meal vouchers, from their paycheques. (Meal vouchers, for use in the plant’s cafeteria, are provided for workers who arrive penniless and are awaiting their first paycheque.) Lakeside’s human resources manager acknowledged that one unfortunate consequence of the scheme was that many workers, even after they received their first paycheque, were essentially broke. Lakeside did seek a permanent solution to the town’s housing shortage by requesting planning permission for a trailer court on the north side of town, but was denied. Meanwhile, Cargill’s High River home markets itself as a retirement community and dormitory for commuters who work in Calgary. These two functions have effectively kept the cost of local housing beyond the means of most low-paid workers at the plant. Cargill’s line workers live in Calgary, a 25-minute drive north of the High River plant. Many who seek work at the plants arrive penniless from other communities. Under Alberta’s welfare system, they may be eligible for a one-time transitional assistance payment from the Department of Family and Social Services. But between the time they arrive and make an appointment with a Social Services intake worker and receive a payment, they need shelter and food. For those without friends or relatives in Brooks, the Salvation Army provides lodging and food assistance. The amount spent providing these services increased from $4,576 in 1996 to $14,924 by 1998. Indeed the total amount of providing clothing, furniture, medicine and other forms of assistance amounted to over $23,084 in the first six months of 2000. Most of these funds are donated by local residents. To provide more food assistance for newcomers, the Brooks Food Bank was established in October 1998 with the goal of “providing temporary emergency access to food.” During its first year of operation, it distributed 4,514 food hampers designed to sustain an adult for seven days. Food assistance is temporary, the average client being assisted 2.4 times. Since the food bank opened, the demand for its services has only increased. A 2000 survey of food bank clients found that 70 per cent of them work at Lakeside, and a further 12 per cent started work at the plant and then quit. Like the Salvation Army, the food bank depends largely on local donations of money and food. Further evidence of the poverty of newcomer families is the establishment of a school breakfast program in one elementary school in the fall of 1999 and the expansion of the program to other schools last year. Official applications for one- time transitional payments to the Brooks office of Alberta Family and Social Services (AFSS) jumped from 65 in 1996 to 598 in 1999, while the number of transients receiving assistance increased from 16 to 64. Most of the recipients are single, but, as Lakeside workers are eligible for a $1,000 bonus for recruiting family and friends to work at the plant, over time it could be expected the number of single recipients would decline. The amount received under the transitional assistance program varies. Lakeside residents receive $229 for food, clothing and personal items; non-residents, an additional $168 for shelter. Neither amount covers the typical one- month’s damage deposit required for rental properties, so Lakeside now provides funds to cover this for recruited workers. The amount provided by AFSS in supporting the initial settlement is considerable. Assuming very conservatively that half of the 1999 aid recipients did not live at Lakeside, the amount provided by the provincial government to support Lakeside’s labour force that year was in excess of $185,000. Except in the early grades, there is little evidence that the influx of population to Brooks has increased school enrolment. However, the local school district has experienced an increase in demand for English as a second language (ESL) instruction, and special services for children with severe physical, emotional and social disabilities. In the fall of 2000, the school district hired a half-time ESL instructor. The number of students receiving special services has nearly doubled, from 12 in 1998-99 to 21 in 2000-2001. A local school official attributes this increase to an influx of persons of low socio- economic status. Funding for these programs comes from provincial government grants. Daycare is a pressing problem. Parents have been known to drop their children off at school at 6 a.m. en route to work at the plant. Too, the shortage of affordable daycare may have been a factor in the 2000 shaking death of an infant by a juvenile left to care for several other young children. These and other related incidents having dramatized the problem, local MLA Lyle Oberg helped obtain a $50,000 grant from the province to fund a study of daycare needs. Another place where need is showing is the emergency centre of the local hospital. Monthly emergency room visits averaged 1,434 in 1996, but had steadily increased to 1,980 by 1999. The increase reflects the difficulty of newcomers in obtaining access to a primary care physician. Clinic hours are limited to 10 a.m. to 5 p.m., Monday through Friday. For those who can’t take time off work to see a physician, using the emergency room is a practical alternative. Emergency centre health care workers note that, because some patients cannot afford to pay for prescriptions, they return a few days later in worse condition. The housing shortage means that newcomers have the options of living in the surrounding rural area or Medicine Hat or doubling or tripling up in town units that should accommodate just one household. Lakeside’s recruitment of young adult, single males has had the effect of augmenting the number of reported crimes from 1,949 in 1996 to 3,314 in 1999—a 70 per cent increase. The local RCMP detachment, in fact, “boasts” the highest Criminal Code caseload per officer of any detachment in the province. Analysis shows that a large proportion of the increase in criminal activity is associated with alcohol consumption. Between 1996 and 1999, the number arrested for disturbing the peace swelled from 66 to 377, while the number of those intoxicated jumped from 128 to 309. Violations of the provincial Liquor Act rose from 172 to 261. Accompanying these increases in alcohol-related arrests have been several highly publicized fights between newcomers and established residents outside local bars. In September 1997, more than a hundred people were involved in such a brawl. When RCMP attempted to break it up, they were attacked by the mob. The number of property crimes has also risen, most notably for motor vehicle thefts—from 41 in 1996 to 101 in 1999—while thefts of property of a value less than $5,000 increased from 333 to 468. These increases reflect the high employee turnover endemic to beef processing and the accompanying loss of a sense of community; as the town fills up with newcomers, it becomes difficult for citizens to identify strangers around their neighbours’ property and thus prevent theft. Concurrent with the growth of violent crime has been a steady rise in the number of women and children seeking shelter from abusive relationships. After a formal needs assessment that pre-dated Lakeside’s expansion, the Brooks and District Women’s Safe Shelter Society was formed in 1997. As of May 2000, 254 women and children had been accommodated, 70 per cent of whom were from outside the region. In spring 2000 the society, with funding from the federal government, purchased a four-bedroom house in Brooks. The shelter now competes with a comparable facility in Medicine Hat for the same limited funding sources. Successive provincial governments have sought to diversify the province’s economic base by offering investors access to natural resources and a pro-business environment. In the case of beef processing, foreign companies have constructed large slaughter plants, displacing locally owned facilities and passing on the social fallout to local communities in the form of housing shortages and increased crime together with rising demands for indigent housing and food assistance, transitional assistance payments, ESL instruction, special education services and emergency health care. To a small community, the cost of providing for indigents is considerable, in money and energy. Yet, in an era of “self-reliance” and government cutbacks to social services, these circumstances are unlikely to change. Indeed, evidence from other communities indicates that local voluntary social service providers will have to increase their fundraising efforts to meet future newcomer needs. Lakeside has tried to address Brooks’s housing shortage, while the province has met its statutory responsibilities. By default, funding for indigent care has become a responsibility of the local citizenry. The long- term sustainability of this approach remains to be determined. Reported crimes in Brooks increased 70 per cent from 1996 to 1999. The local RCMP detachment, in fact, “boasts” the highest Criminal Code caseload per officer of any detachment in the province. 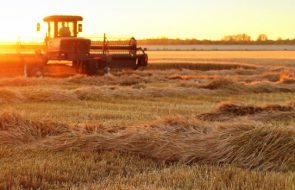 Other rural communities faced with the prospect of thousands of new processing jobs should weigh all the costs associated with this type of development, while Albertans in general might consider whether the Alberta Advantage should include the willingness of local communities to pay the social toll of industrial well-being. Michael Broadway, professor and head of the geography department at Northern Michigan University, has studied since the mid-1980s the changes brought about by the meatpacking industry’s move to rural areas. He is the co-editor of Any Way You Cut It: Meatprocessing and Small-town America (University Press of Kansas, 1995). He began his study of the Canadian beefpacking industry in 1996 and is a frequent visitor to Alberta.